Whether you are a beginner or a highly skilled player, there is always a place for you in the Briarcliff Woods Beach Club Tennis community! 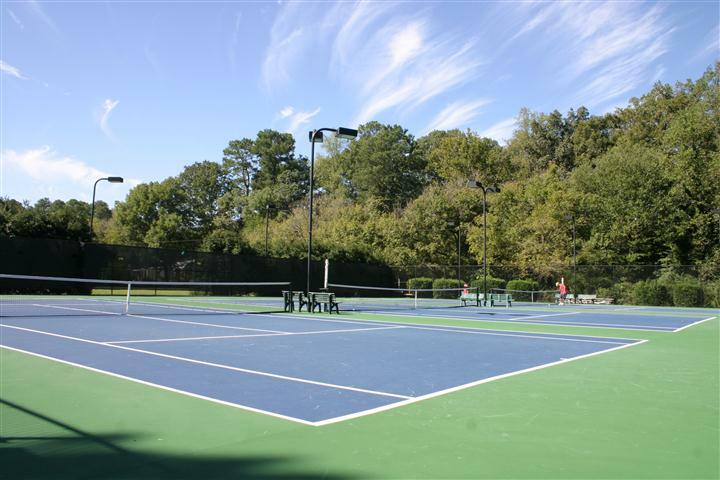 Our facilities include 3 hard courts and two clay courts which are all lighted for evening play. Information regarding court reservations, rules & regulations, organized teams and more can be found below. Thanks for stopping by and we look forward to seeing you on the courts! BWBC is proud to have several ALTA and USTA teams. Below is the list of the current teams we have at the club. For more information regarding these teams please email us at tennis@bwbc.net and we will put you in touch with the corresponding teams captain. Matches are played on Sunday's at 1:00 p.m. in the spring and fall. Matches are played on Saturdays at 9:00 a.m. in the spring and fall. Matches are played on Saturdays at 9:00 a.m. in the summer and on Sundays at 1:00 p.m. in the winter. Matches are played on Saturdays at 1:30 p.m. during the spring and fall. Matches are played on Saturdays at 1:00 p.m. in the summer and winter. A long time tradition has been our Memorial Day, 4th of July and Labor Day Round Robins. All levels are welcome and you only need to bring your racquet, we’ll provide the food, drinks, balls. Holiday Round Robins run from 9:00 a.m. to 12:00 p.m. The link below will take you to the tennis rules & regulations for our facility. If you have any questions regarding the information found in the link below please email us at tennis@bwbc.net. We now have an online reservation system! Please go to www.reservemycourt.com to access the system. To register, you will need the BWBC password. Please click here for registration instructions and the BWBC member password. (You will need to be a logged in BWBC member).